The Radicati Group estimates that, in 2015 205 billion emails per day were sent with an expected increase per year of 3%. You want to avoid sending emails that get bogged down in the sea of incoming messages. Email marketing is the cornerstone for connecting to your customers. Collecting customers email address is a reliable way to correlate with customers who need and want your products or services. Sending targeted and smartly automated emails to your customers can yield a large return on investment of time and money so making sure your emails get opened is vital. 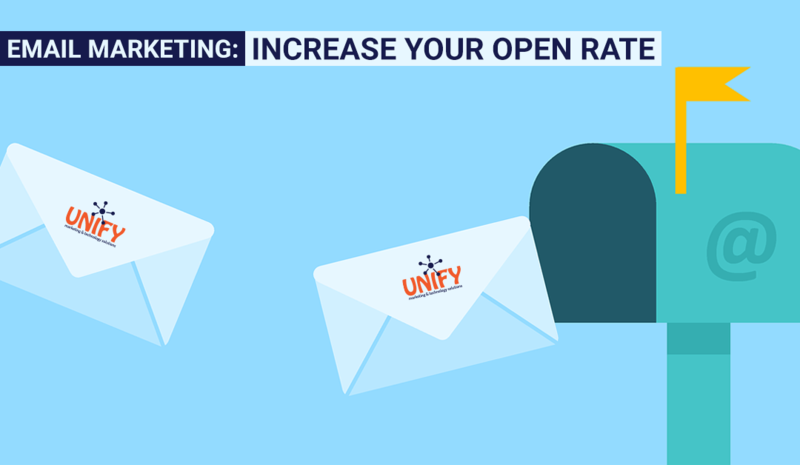 Below are some smart ways to increase your email open rates. For a client to open your email, they must have a purpose to do so. The information has to be specific to them personally. Personalization gets customer attention because the information provided is unique to them. People love seeing their name in print. When you use the customer’s name, it reminds them of how special they are to you. Targeting the specific values of the customer also shows how important they are to you. Providing information that is specifically relevant to them helps them feel in touch with what you are sending. The personalization technique is vital when connecting with customers. It requires you to get as much data about the customer that you can upfront. Knowing your audience is the first building block to creating effective emails. Generally, when a customer feels that they will miss out, on what you have to offer, if they don’t open in a specific time frame, they will open an email quickly. Creating urgency is a traditional method to grab the attention of the reader. But, use this tactic sparingly and don’t create false emergencies in the interest of generating clicks. In other words, if the sale ends today, then that sale shouldn’t also end next week. Improve click-through rates by being honest and avoiding urgent repetition. People love signing up for email newsletters when you attach a free give away or awesome discount. It is a good idea to offer your customers something of value to entice them to click on a link. Our favorite email marketing campaigns always start with a giveaway. You can increase your customer’s curiosity by having an engaging story to tell. Getting to the content of that story can only be revealed by opening the email. Your click through rates increases when customers have a story to follow. When you catch their attention, then they want to know more. If the story is compelling, the customer will open and click to reading the rest of the story either in your email or on your blog. The goal of email marketing is to get the customer to see what you have to offer and take advantage of it. Great subject lines inspire people to do something much like a call to action. Presenting customers with an action orientated statement is a great way to get them moving in the direction that you want. Are you looking for help with your email marketing? Look no further! UNIFYmts can handle that for you! Give us a call TODAY to learn more about the services we offer.